BUCKS COUNTY DESIGNER HOUSE AND GARDENS 2013 - Design Home Interiors, Mark Little - The best interior design services in Montgomery County and Bucks County and suburbs of Philadelphia. 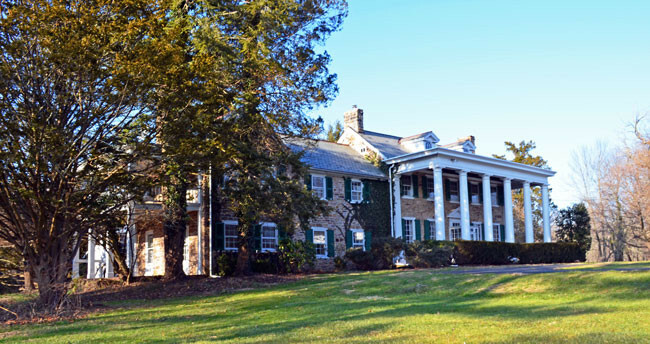 The Village Improvement Association of Doylestown has selected the Clement Doyle House at 360 Old Dublin Pike in Doylestown as the 38th Bucks County Designer House & Gardens for 2013. The land once was owned by Clement Doyle, the uncle of William Doyle, who ran the tavern from which Doylestown acquired its name. The home which was built in the early 1800s and set on 8 acres will be open for general tours beginning April 28 and running through May 26. Proceeds from the designer house and associated events contribute to the VIA's $1 million pledge to renovate the Birthing Center at Doylestown Hospital. The secret to casual sophistication? Embrace an eclectic mix of dark and light paints, stains and finishes. 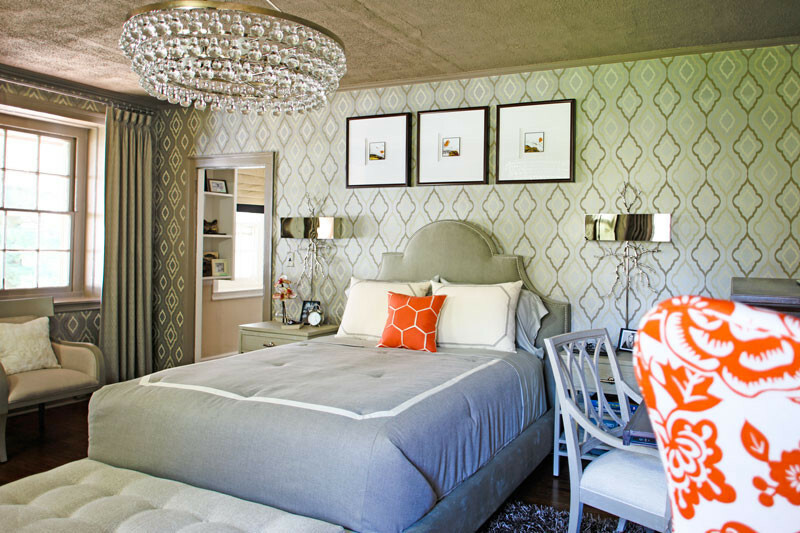 Inspirations derived from mid-century design can be seen in our wall covering selection, as well as the detailed fretwork in both our chairs and wardrobe armoire. We started with a neutral pallet – taupe’s and greys – to create a simplistic backdrop that is timeless. Blending different scaled patterns and textures in both fabrics and finishes creates a contemporary casual atmosphere. The next step to creating that wow factor is to bring in a hyper color. 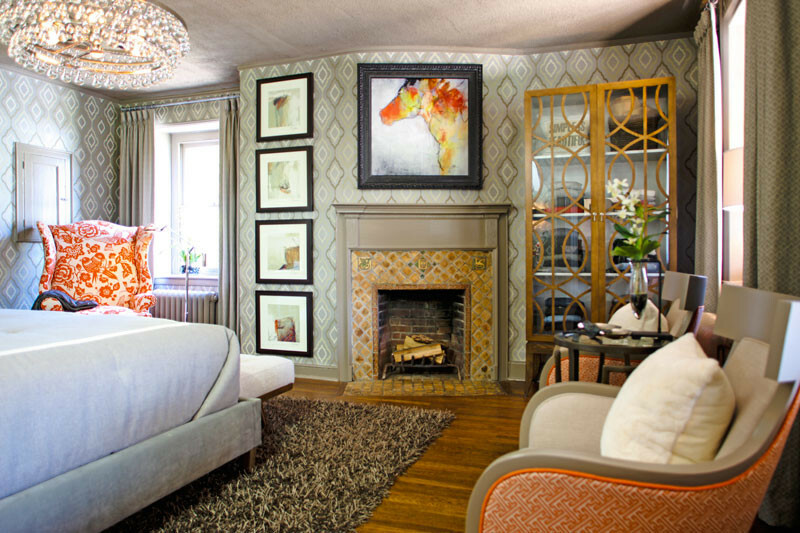 Tangerine compliments and adds visual energy to the neutral design. 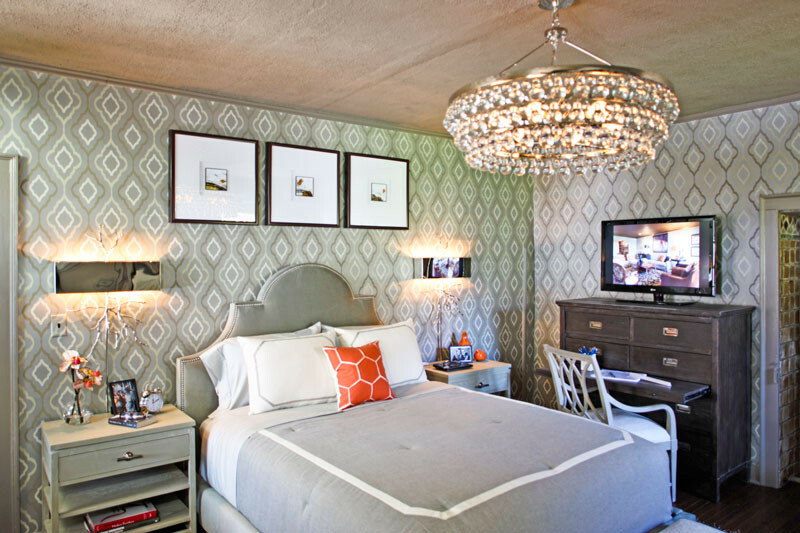 Layering in organic elements such as twig branches and nickel metal shades detailed in the sconces, mixed with the over scaled linen tweet tangerine fabric bring the outdoors in to this master retreat. This unique master bedroom stands out but doesn’t shout out. Everyone will feel welcomed to come in and enjoy the layers of texture and visually pleasing design, while still feeling comfortable and restful. Guests will surely take home a new perspective on interior design. whoah this blog is fantastic i love studying your articles. Stay up the great work! You realize, many individuals are hunting around for this info, you can help them greatly. I visited many web sites except the audio quality for audio songs current at this site is genuinely superb.